brandflakesforbreakfast: do you shake like a fish? do you shake like a fish? It's almost Advertising Week, and if you're going, you'll be doing a whole lotta hand shaking. 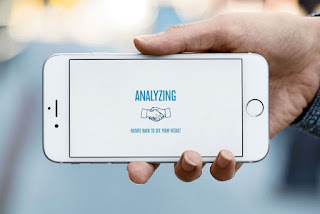 To make sure your handshake game is on-point, Minneapolis agency Colle+McVoy created HandshakerTester.com that lets your test your handshake strength by pretending your smartphone is another person's hand. I got The Nun. No idea what that actually means, but it can't be bad right? I mean, they do shake hands with "the man" himself right?